I ran across these yesterday. I bought 3 tucks and they are in the mail. Anyone use these before? Any opinion? Russia. Actually I had a friend send me two back about 3 months ago. They were a really great shaving blade with an unexpected longevity. I'm not sure if they are really a mainstream blade or if they have been discontinued. Maybe someone else knows. Nice, Marius! That looks like a New Long-Comb. long-comb-ish, but can the british new's be a short-comb? Just rec'd my order of Rubies in the mail today. I'll report back a review this weekend. I had tried them a few years ago. For me they were OK, but not nearly as efficient and comfortable as the best; e.g., GSB,Polsilver Super Iridium, Personna Labs, Gillette Black 7 O'clocks and some other Russian-made blades. On the other hand, some folks like them a lot. Well I must say the Rubies really past the test. Very comfortable and sharp with no nicks or weepers. I don t know if I'll buy them again because of the availability., but they were really nice. I wrote an email to the vender and he said most likely there are identical to the Rapira Lux. Same color of packaging...but different markets. Congrats Aaron. This is good information by the way. Hey Marius, how does it shave? i've had it for quite some time, but frankly i have no idea bryan. acquired it from a british guy via ebay. nowadays i only use slants. it came in a box and has a knurled (?) aluminium handle, which is probably original. for some reason i viewed it as an inferior gillette new, but i believe it's a great shaver, just like its british new-siblings. Well, if you'd ever want to pass it along, I'd love to "test it". (01-04-2015, 04:12 PM)C-NoEviL Wrote: Well, if you'd ever want to pass it along, I'd love to "test it". Got'cha. Hopefully I'll be able to acquire one some day. (01-04-2015, 01:44 PM)DoctorShaveGood Wrote: I wrote an email to the vender and he said most likely there are identical to the Rapira Lux. Same color of packaging...but different markets. This is an interesting statement, that Rubie and Rapira Lux are likely identical blades, as it implies the Voskhod, Ladas, and Rapira blades are also manufactured in the St. Petersburg plant where many other labels are made (Gillette, Permasharp, Astra, Nacet, etc.). The packaging of Ladas, Voskhod, and Rapira do not mention St. Petersburg. I just checked a package of Voskhods, and the address on the package is in Moscow. I don't see why the Rapiras et al couldn't be blades manufactured in the PPI plant for the Russian market. I thought they were a separate operation, but I really have no idea. I got 5 in a sample pack a while ago. They're OK in fact I've got one loaded in a Gillette Old Type for todays shave. This seller unuta77 has them for sale from Russia the Rapiras are much cheaper though. (01-15-2015, 06:40 PM)Andrew Wrote: This is an interesting statement, that Rubie and Rapira Lux are likely identical blades, as it implies the Voskhod, Ladas, and Rapira blades are also manufactured in the St. Petersburg plant where many other labels are made (Gillette, Permasharp, Astra, Nacet, etc.). The packaging of Ladas, Voskhod, and Rapira do not mention St. Petersburg. I just checked a package of Voskhods, and the address on the package is in Moscow. I don't see why the Rapiras et al couldn't be blades manufactured in the PPI plant for the Russian market. I thought they were a separate operation, but I really have no idea. They're not the same. 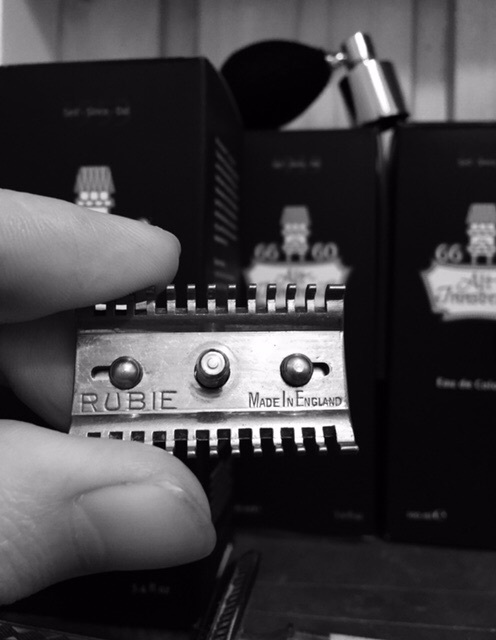 I bought his large sampler a while ago and since reading this post I am revisiting a few of these blades in my ATT S1 to see if i should buy more. Both are good blades, but definitely different personalities. Like comparing a Polsilver to a Personna Med. Rapiras and the rest of the Moscow blades are produced by Mostochlegmash, not PPI, which is a totally separate firm. Now I don't know if there were more links between the two brands in Soviet times, but for certain they're distinct products today, especially given that Gillette is involved in PPI not Moscow. (01-16-2015, 04:33 AM)cournot Wrote: Rapiras and the rest of the Moscow blades are produced by Mostochlegmash, not PPI, which is a totally separate firm. Now I don't know if there were more links between the two brands in Soviet times, but for certain they're distinct products today, especially given that Gillette is involved in PPI not Moscow. This is what I thought, but I didn't have any solid info to make the claim. This is what I thought, but I didn't have any solid info to make the claim. The writing on the back of my Sputnik blades are identical to the Rubies. I wish we had some Russian members who could shed light on some of these type questions.